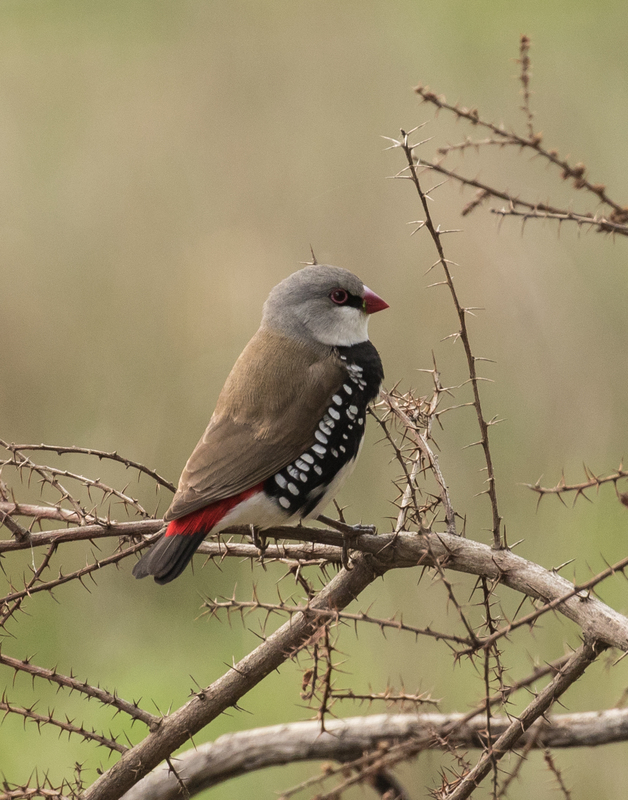 A Diamond Firetail making good use of Hedge Wattle (Acacia paradoxa). Photo by Geoff Park. We are pleased to announce that due to high demand for our ‘Prickly plants for wildlife’ project, we’ve secured additional funding from the North Central Catchment Management Authority to extend the project. This time we’re able to include smaller project areas. Our original Prickly plants project during 2017-18 generated a huge amount of interest from our local landholders. Unfortunately we couldn’t include everyone, but we were able to help nine landholders develop and implement management actions over 64 ha of private land. As well as strategic revegetation of native prickly plants, actions included protecting remnant vegetation, and weed and rabbit control. Many woodlands in the Mount Alexander region have lost their understorey plants that provided essential protection from predators, food and nesting habitat for small birds and mammals. Prickly Plants for Wildlife on Small Properties will supply eligible landholders with valuable prickly understorey plants that will enhance existing native vegetation, and provide habitat for many small birds currently in decline including Diamond Firetail, Jacky Winter, Hooded Robin, Brown Treecreeper and Painted Button-quail. 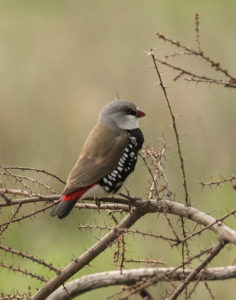 Prickly plant species that help these little birds include Bushy Needlewood (Hakea decurrens), Tree Violet (Melicytus dentatus), Sweet Bursaria (Bursaria spinosa), and acacias such as Hedge Wattle (Acacia paradoxa) and Spreading Wattle (Acacia genistifolia). Expressions of interest to participate will open soon for eligible landholders with native vegetation of a minimum area of one hectare (2.5 acres). Many thanks to North Central Catchment Management Authority for their support. We are interested. We have a property at Gallaghers Lane Eddington and are keen to ensure there is appropriate vegetation for the indigenous species. Please keep us informed. The email I have for you seems to be bouncing back. Would you mind emailing me directly jacqui@connectingcountry.org.au? Thanks! Hi John, fantastic. I have emailed you just now. Would like to be considered for the prickly plants for wildlife on small properties. I shall contact Tanya. Hi Jillian, thanks for your interest. I have sent you an email and will be in touch soon.